If you do a little digging on SnoreMeds, you will find that it is owned by a company named Trio Interactive. So, what’s so unusual about this? Well, nothing except for the fact that Trio Interactive specializes in media solutions. What in the world does a specialist agency have to do with a mouthpiece? Absolutely nothing! 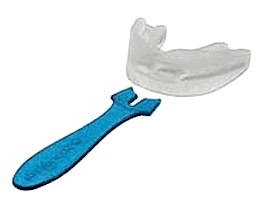 But they are marketed better than some other anti-snoring devices we have reviewed. Philippa Logan and Michelle Hall-Jones are the founders of SnoreMeds, but it is not actually clear what inspired them to break into the mouthpiece business in the first place. There insn’t even a mention in the article. These two South Africans decided to join forces in 1994 to create their first company known as Trio Interactive. This digital design business was launched to provide businesses with a variety of helpful services, including web development, online media solutions, and creative design services. 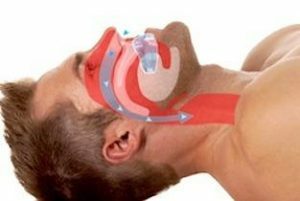 When they learned about snoring mouthpieces being in high demand, they decided to bring a few experts onboard to help design a mandibular advancement device (MAD). SnoreMeds is a subsidiary of their Trio Interactive business. The headquarters are in South Africa, but there are also branches in the United States and Finland. SnoreMeds were available in their local market in 2006, and by 2008, availability had expanded to the United States, Norway, and New Zealand. In 2010 their second size was introduced. There is no mention of SnoreMeds or Trio Interactive on the Better Business Bureau website. On one hand, it is great that the company has not had any filed complaints, but it is a little disappointing that a company that has been around this many years hasn’t felt the need to apply for accreditation with the BBB. SnoreMeds coupons are listed here.